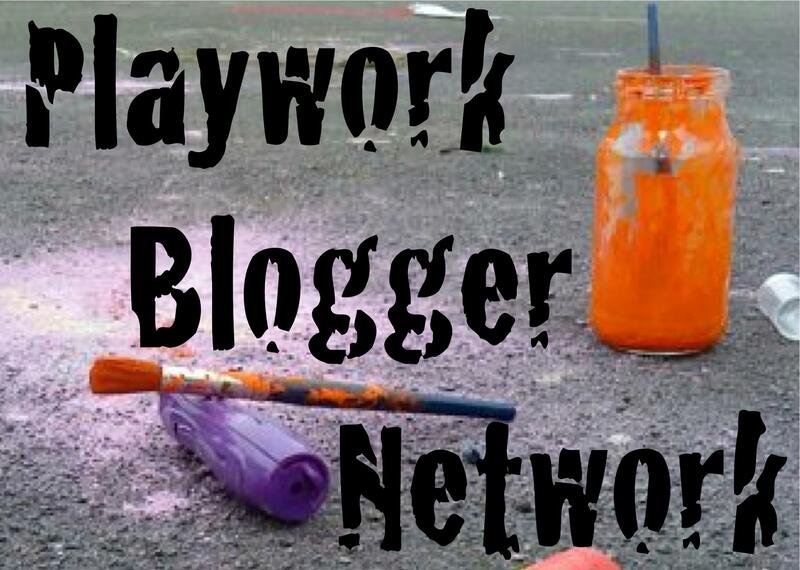 It has been conference week in the playwork ‘world’ (as you who were also there are aware!) Conferences are often odd affairs: they never seem to last long enough, or you never get to participate in everything you like the look of, or they leave you tired and playing catch up for the rest of the week; yet, you will bring away something. This year I brought away fragments I’m now piecing together after sitting around at conference. I mean that literally. The past few years, when I’ve attended, I’ve facilitated workshops, or I’ve built and manned adult play rooms, or I’ve run around in the background with set-ups and helping to keep it going, or I’ve snatched times here and there to listen to someone speak. My position has changed. This year there is time. This is a post about time. Others who attended this week have already posted up, or will no doubt post up, their experiences and learnings (I’ve just read Vicky Edwards’ reflections on her experience of conference — good stuff, Vicky, by the way). I have been thinking for a couple of days. It’s been background thinking because the drive was long; because the experience of being surrounded by hundreds of others of similar mindsets can overwhelm (in a positive way); because the beer buzz affects the molecules! I have been thinking of time. I did facilitate again, with Arthur, and the space was a different space to those I’m used to: it was a space, as I reflect on it, of depths and uncertainties. The subject was love, or thereabouts. When we talk about love in accepting spaces, strange things can happen: love begets love, love causes love. There were moments of being on the cusp of something, or so I perceived, and moments where I saw eyes glisten. What happens in Vegas stays in Vegas though; the first rule of Fight Club is that we don’t talk about Fight Club, etc . . . So, what happened were small weightnesses of time. This is what I’ve been thinking about, and it’s only now that I type it that I think I know what it is: moments happen. I had every intention to go listen to others in their presentations and facilitations and machinations of ideas; yet other forces had other ways of influencing me. The structure of the conference timetable just fell away. I saw and talked with my playwork friends when it was just time enough for that to happen. This is all about time. I sat down at a table in the main conference hall (one of those large round tables) waiting for the coffee to kick in and for the ability to make a decision likewise. There comes a point though that neither really happens, and so we just give in to the flow of things. I sat with Rich and Arthur and Lily and others, and then when some had gone, Eddie joined us, and Lisa came, so did Morgan, and others came and went. There were lazy discussions on nothing much, and lazy discussions on nothing more, and discussions on playwork thinking and reflections of childhood, and minor rants, and silly playground humour (the best kind of humour! ), and plenty of otherness. Two or three or four hours in I said; ‘Eddie, I’ve just had a moment, an epiphany! This is all an ebb and flow, a tide: people come and go, and it all comes to us’. Or words to that effect. I sat at that table for the very best part of four or five hours, watching, talking, learning, eating, drinking coffee, floating along. This is all about time, you see. It strikes me, thinking and writing here, and thinking in my background way in the last few days, that there’s a correlation here with this and with the play of children. Take time — I mean this in several senses: take time to see the time taken by children; take time, have time, as children, to play in the lazy flowing, sometimes intense, sometimes over-tired silliness, sometimes ranting, sometimes love-friendly way that play can manifest as; take time . . . take time, take it away, out of the equation — see that ‘structure this, structure that, organise here, activity there’ can just squeeze all the possibility of play from the children before it can even take root. Play happens in its own time. In my play at conference I took time from it. I took time and found that there are other ways of lovingworkingplaying (thanks Arthur); that others have deeper respect than I ever appreciated (thanks Lily); that there are common experiences, hopes and thinking, which were kind of known but not known (thanks Eddie, Morgan); that other appreciations also remain, after years (thanks Vicky, Neil, Rikki, Polly . . . and others). I have been thinking of time: its ebb and flow, its depths and weightnesses, its way — if you’ll let it — of just taking you along. I let it play through me.